Intuitive, beautiful and liberating online accounting software designed for small businesses. We recommend and support Xero because it makes working together a doddle. If you've ever asked yourself “Where did the day go?” then WorkflowMax is for you. Quote for business, estimate timing and record hours worked easily. Invoice accurately and keep on top of work in progress. Built for teams to have visibility of projects, deadlines and understand where everyone is up to. Speak to us to find out how Workflowmax can make your organisation work better. Do you know if you have stock of that product? Do you know which warehouse it's in? Do you have to do those nasty cost of sales adjustments at the end of the month? Unleashed will solve these (and more), we are your Gurus. Retailers love Vend and so do we. It’s easy to see why this award-winning POS is so popular. With an online and offline version it works on any device and keeps your data secure. It also plays nicely with Xero, integrating seamlessly saving you time and money. Clever stores use Vend. Real time job sheets, live job scheduling for your staff, along with quick creation of quotes and invoices. Store signatures and documents against the job. Integrate with stock in real time. The world's number one online accounting software, used by 2+ million customers globally. Everything you need to run your business in the cloud and on a great looking app. Ditch the spreadsheets and watch your data come to life. With Futrli financial intelligence becomes beautiful and meaningful as your data is transformed into dynamic reports to view and share. 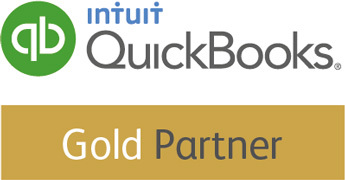 As Xero gold partners we embrace the power, flexibility and portability of Cloud software that enables our customers to work effectively wherever they are, and our firm is underpinned by the quality of service, support and professionalism you would expect from an ACCA qualified accountant with years of industry experience. We will provide you with a full bookkeeping service, outsourcing your full accounting function. This service also includes the addition of a monthly face to face meeting to talk through the previous month’s performance. Simply email, fax or send in your paperwork (in one of our pre-paid envelopes) to our qualified staff and we will do all the bookkeeping, entering your transactions on to the Xero system. The DIY programme has been created with the small business in mind. At the beginning, there may not be too many transactions and the business owner may feel the need to be in control of the finances themselves.